3/8 spool solenoid valve are epoch-making solenoid operated directional valves with high pressure, high flow,each part of the valve including the solenoid with unique design . 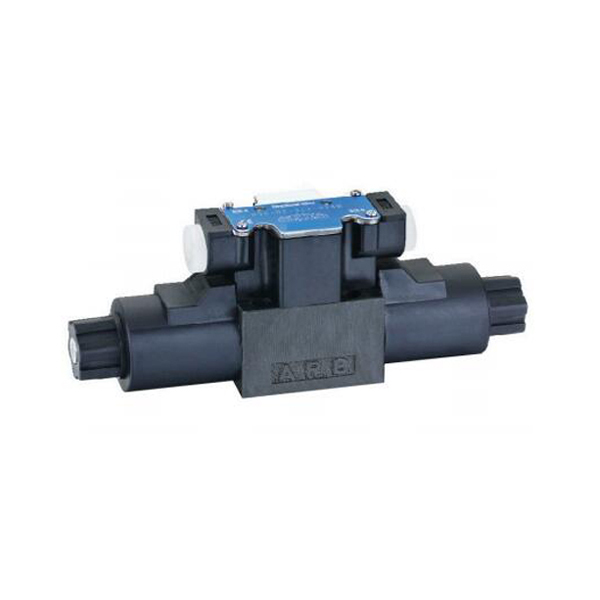 With wet solenoids, these valves have features of low noise and long service life, so as to insure no leakage . 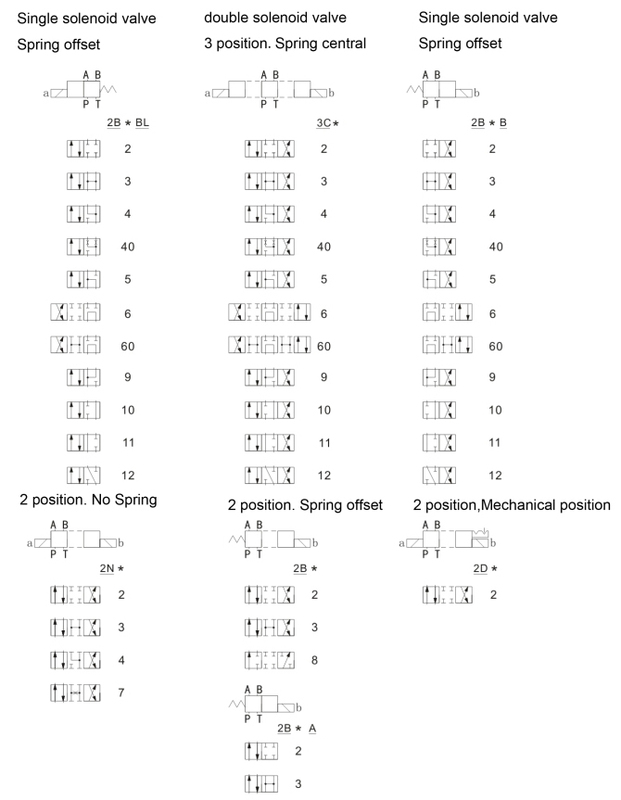 Users can choose the suitable model from this range. 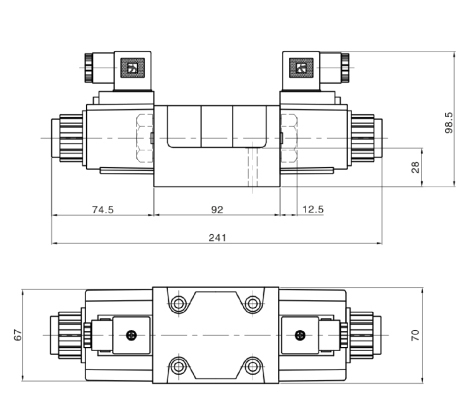 Yuken DSG-03 50 series spool solenoid valves can be classified into two models. Shock-less type….Noise in spool is changeover and vibration in piping can be reduced to minimum. 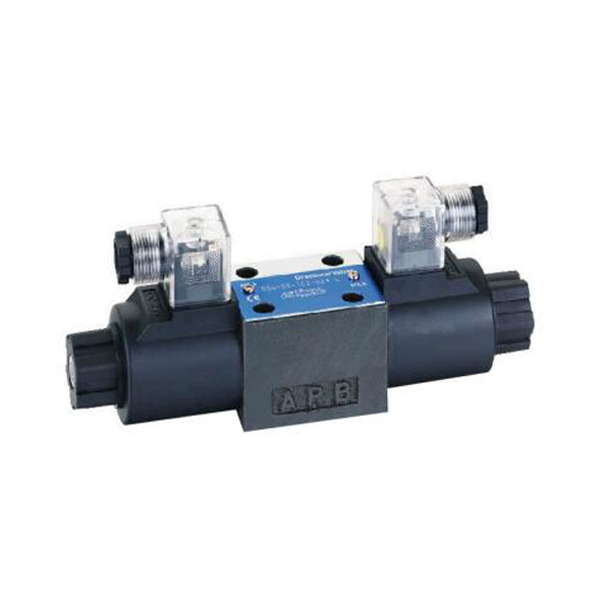 With strong magnet and spring force,the spool yuken directional valve DSG-03 are antipollution so as to ensure stable operation. 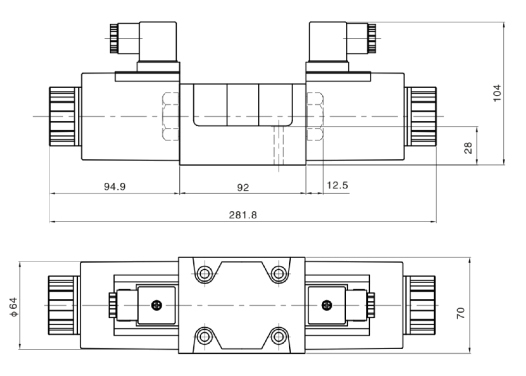 Solenoid connectors are conformed to the international standard ISO 4400 (Fluid power systems and components-Three-pin electrical plug connectors-Characteristics and requirements). 50 to 60 Hz solenoids do not require rewiring when the applied frequency is changed. 1.Since high voltage can be controlled with low figure by electric control devices, such as a computer,and can be used without any interference of noise. 2.There are no spark between contacts, life service of relay is longer. 3.Time lag of spool return after de-energisation of the solenoid is very short. With rectifier and surge absorber, direct current solenoids can be used to directly connecting to AC power source.Like other DC solenoids,with advantages of low noise and coils are hardly burnt out even if the spool is stuck at the half way of its changeover.Moreover,they can be used almost permanently without being affected by a surge voltage from outside.Thus,with characteristics of high reliability and durability. Some time ago, a client of mine encountered a problem that hydraulic yuken directional valve DSG-03 can not be opened.24V power supply to 9 solenoid valves by switching power supply,use collinear supply power to 9 solenoid hydraulic valves at the same time,and control signal to control the action of an hydraulic dsg solenoid valve.But why do often solenoid hydraulic valves can not move? What is the reason? 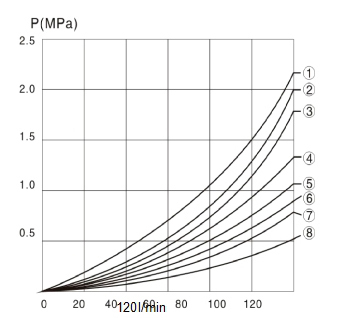 Through the specific communication, we learned that customer use the 1.5 party line length of 230 meters, so it is not difficult to understand why the solenoid hydraulic valve does not move.Because the power supply voltage selection of 24V, we need to consider the loss, if the cable is too thin and too much, loss will be too large. 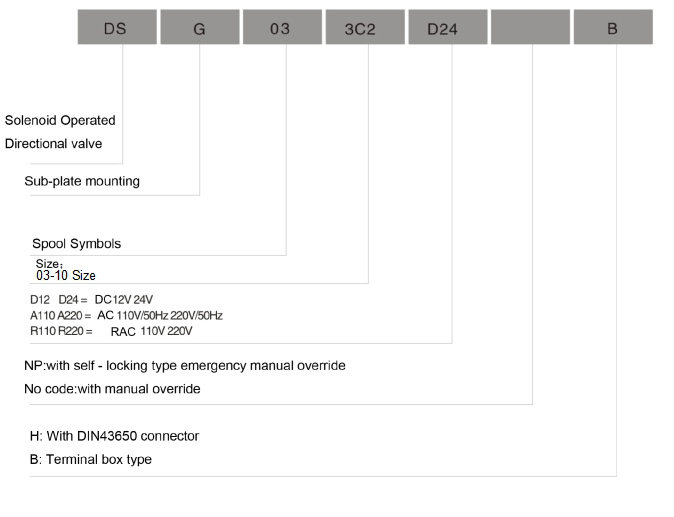 When the power supply to the yuken directional valve DSG-03-3C4 coil, the voltage is only 16V, has been lower than the normal open voltage of 20V, leading to the solenoid valve coil can not act. 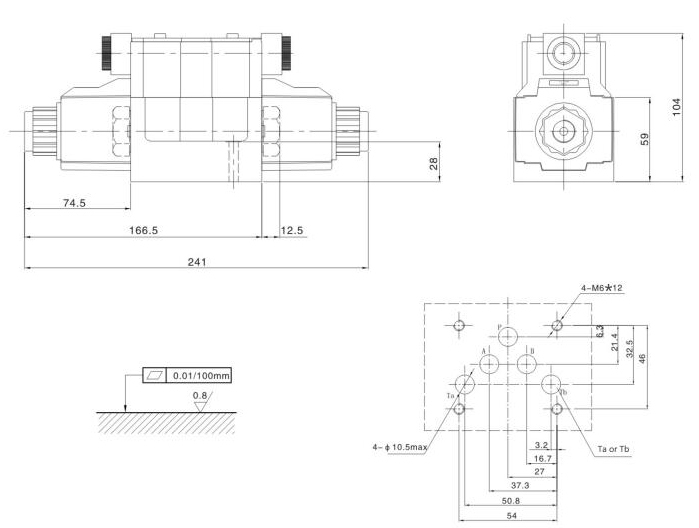 There are 9 solenoid hydraulic valve at the same time, so that the terminal voltage and power must be guaranteed to the solenoid hydraulic valves.